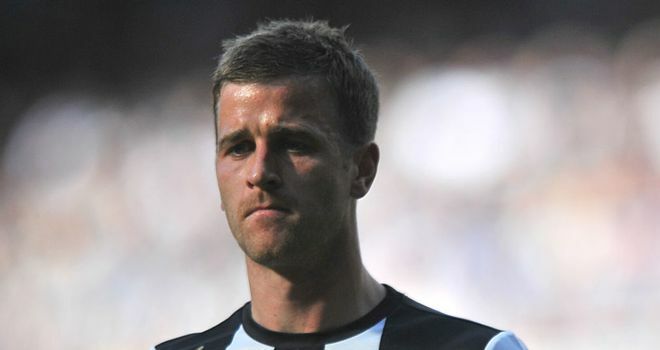 Ryan Taylor had one of his most successful seasons in a black and white shirt last season. The former Wigan Athletic rookie played most of last season as a utility player – filling in at left back for large parts of the campaign. But after just completing his pre-season tour of The Algarve, his manager Alan Pardew hailed Taylor as “Quality” and added that he would definitely be pushing for a start in the new and upcoming Premier League fixture against Tottenham Hotspur. Taylor made 34 appearances last year and was said to have been delighted with being able to play a part in Newcastle getting back into European football. His excellent from earned him a new improved deal on Tyneside, where many thought he would be cast aside with the incoming of Davide Santon for left back and Danny Simpson nailing down his place on the right. But Taylor luckily through injuries to the squad was able to play a big part and also score some sensational goals – notably against rivals Sunderland and a stunning volley against Everton. Pardew also added that Taylor’s free kicks are second to none and said that he has never had a player in which could strike a dead ball so cleanly. Taylor has been in sparkling form during pre-season and his latest contribution was to whip home a free-kick of which David Beckham would have been proud. Pardew added: “What I see in Ryan is a good player. Taylor has stated he is just going to keep his head down, but is please with the support from his manager and backroom staff and hopes for a repeat of the unimaginable campaign like last year.